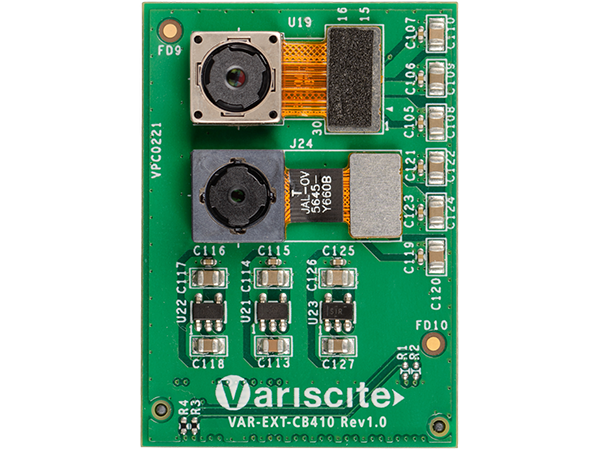 The VAR-EXT-CB410 Camera sensor board allows developers to leverage the DART-SD410’s advanced multimedia capabilities. With its integrated dual camera setup which includes the 13MP/1080p IMX135 and the 5MP/1080p OV5645 CMOS sensors, it is ideal for both evaluation and application development. The VAR-EXT-CB410 interfaces with the DART-SD410 evaluation kits.